What are the best Sekiro mods? Sekiro: Shadows Die Twice is a hard-as-nails test of your reflexes, agility, and, above all, patience. Patience to not throw your monitor out of the window after dying to that blasted Guardian Ape countless times, that is. But, while the following Sekiro mods won’t exactly make the game any easier for you – we’re not in the business of Sekiro cheats here at PCGN – they will make your sojourn in Sengoku Japan a slightly less traumatic one. There are not a huge amount of Sekiro mods to choose from at the moment, but we expect there to be a healthy scene for the game in the not-too-distant future, just like the wide-ranging set of Dark Souls mods you can find. However, there are certainly a good number to choose from: for instance, there are third-party changes you can make to unlock the game’s framerate and tweak your FOV. There are also mods to reduce the HUD for menu-haters, remove tutorials for masochists, and a special Sekiro death screen for those that just love being trolled. So there are some pretty suitable mods for Sekiro already out there, but if you’re looking for help in making things just a little bit less punishing rather than cleaner and more user-friendly, we have loads of guides that will help you do just that. We’ve got hints to help you tackle all of the Sekiro bosses and where to find all the possible Sekiro Divine Confetti to deal any damage to ghosts and apparitions. But, with that out of the way, below you’ll find the best Sekiro mods and how to install them. 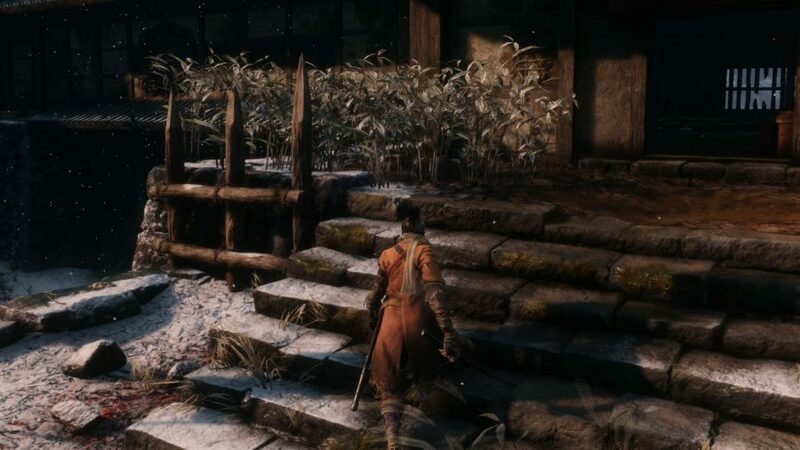 Sekiro Mod Engine should be your first port of call when it comes to installing Sekiro mods. You should get this sorted before you start tweaking the game as it makes the process much simpler and safer. Follow the link to the mod engine for the full list of features it offers and detailed instructions on how to get it going. Once you’ve done that all you need to do is create a folder, place the modded files inside it, and modify an ini file to point to the mod directory. This injection DLL library supports any mod that relies on file edits – that includes cosmetic, texture, and parameter changes. That covers plenty of the tweaks we discovered on Nexus Mods, so you’ll have your brave shinobi in your sartorial style of choice in no time. Sekiro: Shadows Die Twice, like all games, is best played on PC, and the Sekiro FPS Unlock and More mod lets you, err, unlock its full potential. This handy Swiss Army knife of third party software lets you remove the frame rate limit, add custom resolutions and 21:9 widescreen support, you can also change your FOV, and enable borderless windowed mode. As you’ll know from our Sekiro review, we are more than satisfied with the game itself but, our friendly neighbourhood shinobi certainly benefits from these expanded options. For the full list of changes big and small, take a closer look at it on Nexus mods. Sekiro is all about utterly absorbing yourself into the role of the shinobi. Forget that you learned to hide behind your shield in Dark Souls or go on the offensive in Bloodborne, you must wholly subscribe to the ways of the ninja to conquer feudal Japan. But, how can you properly immerse yourself with an aggravating HUD in the way? Minimal HUD lets you strip away as much of the icons and prompts that litter the screen as you like. Split into four categories – enemy indicators, vignettes, unnecessary icons, and backgrounds – you can bin any of the HUD elements you find the most egregious, and keep the bits you find most useful. Not knowing the alert state of enemies makes stealth harder, but you don’t exactly need other things like the Sculptor’s Idol logo floating about all the time. Speaking of making things harder – honestly, have you ever considered why you do this to yourself? – No Tutorials takes the challenge up a notch by doing away with all hint boxes and pop-ups. While Sekiro is by no stretch an easy game, it does go much further in explaining its arkane systems than games like Dark Souls. Perhaps you’re already familiar with Sekiro and its austere expectations but just fancy starting a fresh game after a break. Or, equally, you want the more obscure experience of FromSoftware games past and try to work everything out on your own. Either way, this Sekiro mod is for you. As with any Soulsborne-style game, you are going to become intimately acquainted with something you’ll rarely see in any others: the death screen. So, since you’ll likely have the word ‘DEATH’ screaming at you hundreds of times – even with the mystical resurrective properties of your shinobi blood – we might as well have a bit of fun with it. That’s what modder Ashina No Nanashi thought, anyway. 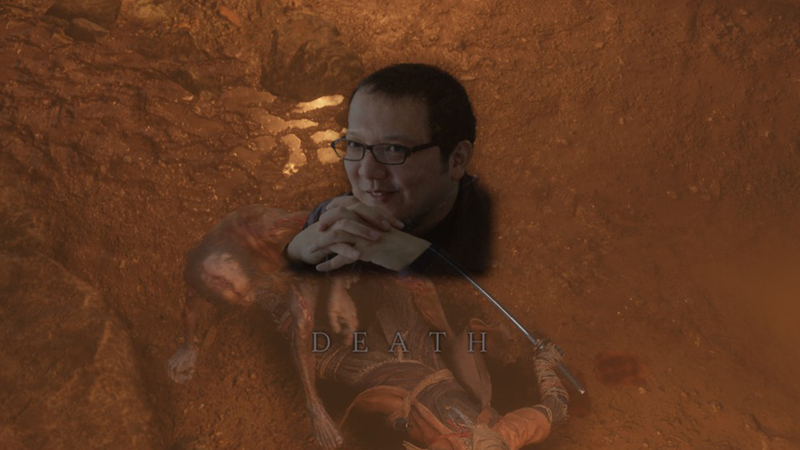 Death Screen – Miyazaki’s Smile changes the screen you see on each demise to a chortling image of series mastermind, Hidetaka Miyazaki. The mod’s description reads: “Just as Miyazaki planned, you have died countless times.” Quite. What’s more, when your death screen turns red you see the lettering ‘計画通り’ – a popular Japanese catchphrase taken from the comic Death Note, which translates to mean ‘just as planned’. We’ll show you one day, Hidetaka. As far as a brutal worlds that vicious ogres and bulls with flaming horns call home go, FromSoft’s take on Sengoku Japan is an arrestingly pretty one. Well, not so much for the samurai fodder we kill over and over again to grind for our next set of Sekiro Prayer Beads. Nevertheless, the world of Ashina wouldn’t suffer from a bit of graphical TLC here and there. Phoenix Samurai Reshade is a Sekiro mod that does just that, but without taking a toll on your performance – your PC’s, not yours, that could certainly do with some work. The changes are subtle and mostly tweak settings such as colour balance to make this demanding world easier on the eye, if not your general wellbeing. The most common kind of Sekiro mod you can find is one to change your shinobi’s outfit. With futuristic cyberpunk threads and tasteful cherry blossom garb available in your Dilapidated Temple wardrobe, there’s something for even the most discerning of ninjas. 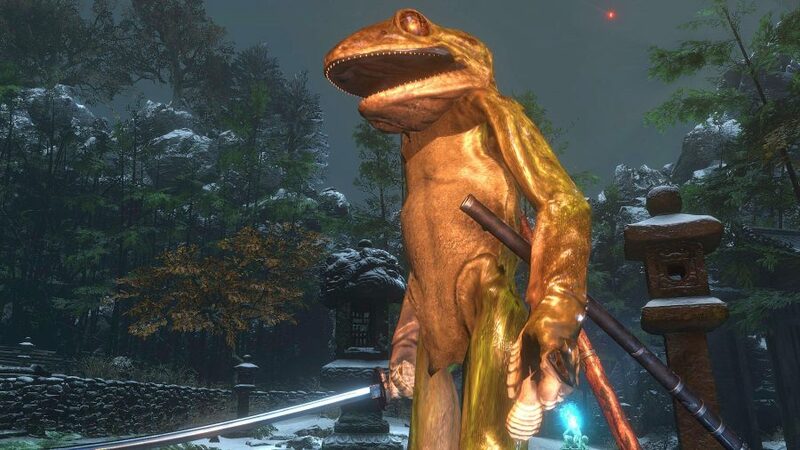 Expanding your options further is this Sekiro costume pack mod that bundles together 25 new costumes to freshen up your nimble protagonist, including Lord Genichiro and a Nightjar ninja. But, most pertinently, you can be a massive stabby lizard. Courtesy of modder Zullie the Witch, this Nexus mod lets you spring about, deflect, and step dodge away from your foes as a gargantuan gecko. Makes a change from that boring old orange coat, if you ask us. So there we are, these are the best Sekiro mods we’ve found so far. We hope they bring you a more pleasant experience as you gradually make your way through FromSoft’s latest outing, either side of the times you’re thrown off cliffs and poisoned to death, at least. 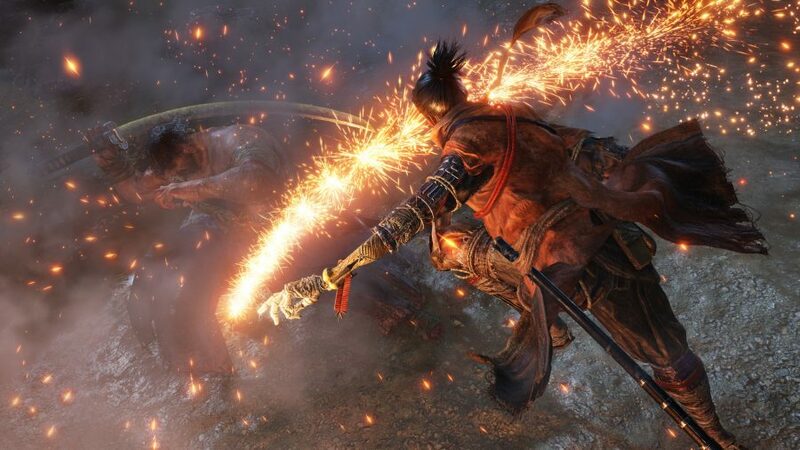 If you’re looking for specific guides on tackling some of the game’s tougher bosses, however, we can help with tips for besting Sekiro’s Genichiro Ashina boss and Lady Butterfly. Or you can just dive into the world of Sekiro cheats – no judgement, and plenty of understanding, here.